June 1, 2013 is National Trails Day! Since 1993, the first Saturday of every June has been designated to inspire the general public and hiking enthusiasts alike to discover and celebrate America’s expansive trail network — comprising over 200,000 miles of trails. You can participate in a local hike, dog walk, cycle, horseback ride, help in a trail maintenance project, kayak, birdwatch, and so much more. It’s easy to forget how much work goes into trails’ planning, development, and upkeep: National Trails Day thanks the countless volunteers and partners for their support and grueling work. Organized by the American Hiking Society, National Trails Day also introduces many people — those who may not otherwise normally visit parks — to all of their benefits. The day further highlights trails that people didn’t even know existed. This was actually the genesis of Serenity Spell; after hearing how so many locals were unaware of the magnificent parks and natural areas in this area (see the much-needed-updating Natural Areas and State & National Parks dropdowns, above — or the Categories section to the right), I was inspired to investigate more on my own. In today’s world, it’s critical to get outdoors and into nature. Hiking, even simple walks, gets the heart pumping, the muscles relaxed and stretched, and is an excellent way to improve overall health and mental alignment. It’s also cheap! Click here to find an event near you for a National Trails Day event. Celebrate nature and promote our country’s parks and trails! Omigosh… What an AMAZING idea!!! You guys are absolutely the best. Wow. You would have had to drag me out of there at nightfall, I swear. Five acres. Heaven. Thanks. 🙂 Peggy and I are committed to the idea of having the grandkids love (and respect) the woods as much was we do. Thanks for pointing that out! Being an oddball, for me, every day is Earth Day, and every day is a day on a trail, somewhere, even if a local walking path. You’re not an oddball in the least… LOL, if I don’t run out there at least a few times a week, my entire equilibrium’s completely offset! It’s the only thing that truly, TRULY relaxes me. I just read another blogger’s post, it was excellent but sad, about how many individuals find themselves in nature and don’t know what to do — that’s how separated we’ve become. So tribute days such as these are indeed important! Great idea. 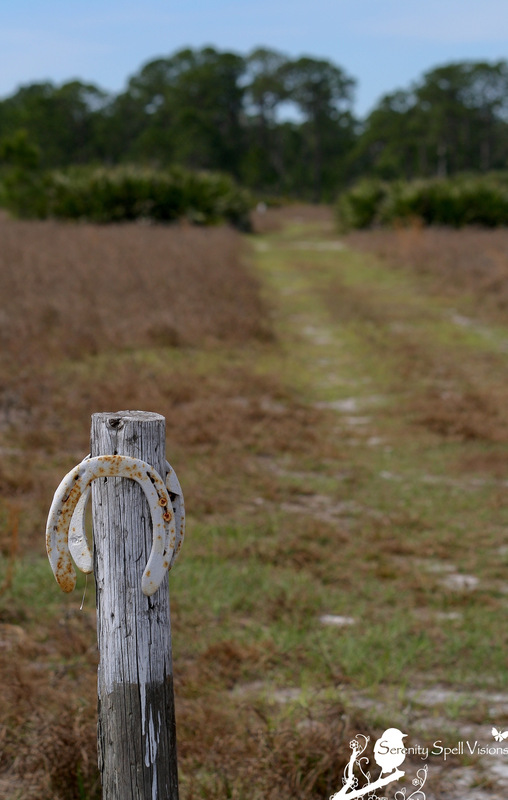 Loved the horseshoe shot – worked so well with the trail. It really is, isn’t it? So much work goes into these trails’ maintenance alone — so highlighting them is wise! I loved those trail markers; this particular area was *way* out there, but they were creative. I didn’t know today was Trails Day! Thanks for bringing awareness to one of our country’s most precious resources. So many other nations would give anything to have the parks and natural areas that we do. But, we have to all pitch in to make sure they stay preserved. You’re doing quite a good job with your blog to bring attention to nature, so thank you very much! It’s actually Saturday — the first Saturday of each June, so you have time to prepare, hee! Thanks so very much for your kind words… If I didn’t have these wonderful, amazing, beautiful spaces to return to for my solace, I don’t know what I’d do. It’s up to all of us to love them and do our best to preserve and protect what we can, that’s for sure. Looks like an amazing area to explore! Fantastic photos! 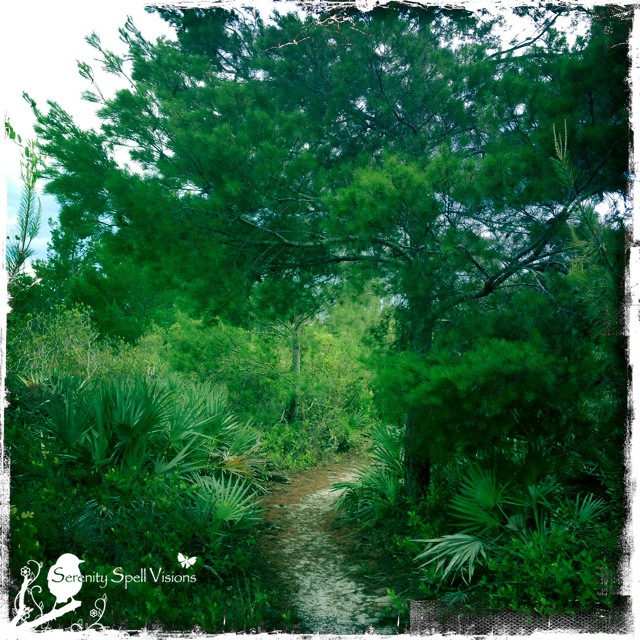 Nothing lifts my mood better than hitting the trail and getting outdoors:) Happy Day Indeed!!! So very true! It’s truly the only thing that brings me to that perfect state of *calm*… 🙂 Happy Trails Day to you! I didn’t know there was a national trails day. I’ll certainly be on one though! June 1 also is National Butterfly Awareness Days, so get out on the trail and appreciate the butterflies! We just did a ten day vacation hitting the trails in Ohio. 🙂 We went places we had never seen before and discovered new favorites. For me the most interesting finds were the sand dunes of Ohio left behind by ancient Lake Warren. Most of the dunes have been stabilized with vegetation, but some are still barren sand moving about with the wind. 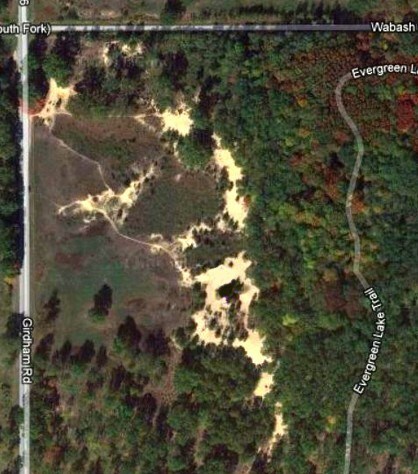 There’s a nice satellite photo of the dunes here. And what a fascinating topography / history of this particular area. I can’t wait to see your images of it! Did you find any fossils? No, but I can’t say we were really looking. We actually stayed at one lodge that identified on their park map two places to hunt for fossils. We drove by the areas; they were essentially stone-laden creek beds, so I guess theses stones had fossils. But people were fishing there when we looked at we didn’t want to bother them. But at least I still have the fossil that I found here. Ohhhhh fascinating!! I hadn’t seen that post! You’re right, though — if one is fossil-hunting, you don’t want to do so around fishing. They’d have loved it here yesterday – the farmer spread some noxious-smelling fish manure over the fields – and my husband sighted an osprey flying over later on. The local heron would have been overjoyed at it, I’m sure! 🙂 Those are very cute youngsters you’ve photographed. Omigosh…. Our birds would have LOVED those fields, hahaha!! Such perfect fertilizer though, hee! Yet another great awareness post! Thank you! Ironically, I was traveling! I’m always out on “my” trails, and on this day? Trapped inside! What a great idea to help people really appreciate the trails and nature! Isn’t it wonderful that groups such as this are working to raise awareness of our natural areas? Big XOXOs to them all!!! Great wide pictures of the trail. I’ve always liked your forest pictures. Ah, thanks so much! I never think the images do the actual areas justice, so truly, thank you… They’re just divine. One of the great delights of our area now is the series of new trails that were constructed and restored after Hurricane Ike. While they aren’t “spectacular”, in the sense that trails through national parks and such can be, they’re well-maintained, they’re close enough that people do make use of them, and they’ve been designed in such a way that disruption to the habitat of the birds and animals is minimal. And, for those who want to range a little farther afield from Houston, there’s the “Great Coastal Birding Trail”, a Texas state-sponsored system of trails, bird sanctuaries, and nature preserves along the entire length of the Texas Gulf coast. 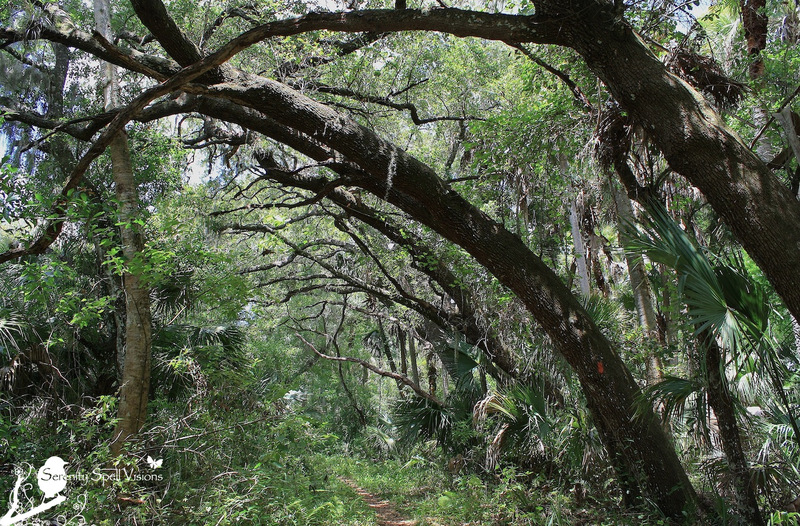 Farther inland, there are wildlife trails – all beautifully marked, annotated, mapped and maintained. People laugh at Texas, but I swear – there’s no lack of opportunities to get outdoors here and, more importantly, learn about the world. How WONDERFUL! The more that people use these spaces, the more likely they’ll create more natural areas, thus protecting the land and all the creatures therein. Too bad we are having rain, rain and more rain!! Trails are nice and soggy. But maybe the cypress feet are back in the water now!! Ain’t it the truth!! Yesterday I could have swum freestyle down the street in front of our office!! What utterly stunning trails you have. One of these fine days, I’m going to have to visit there. I’m so incredibly sorry for the late response… But YES! 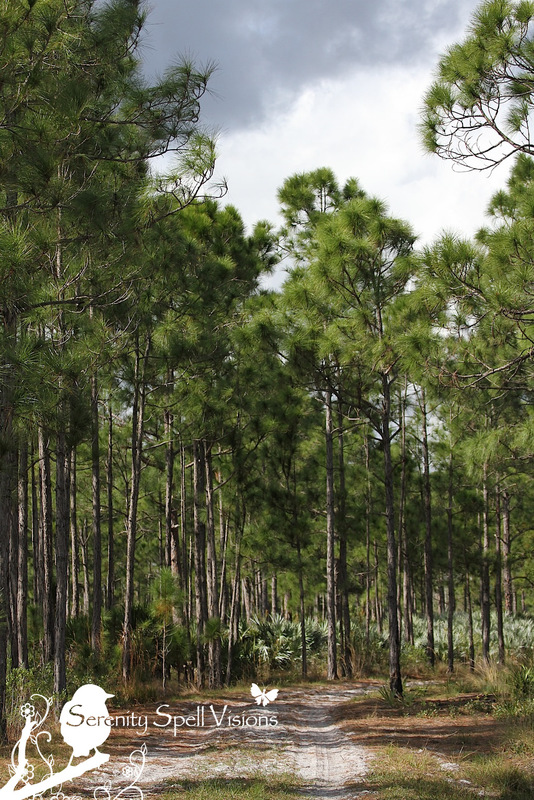 Although our trails aren’t hilly (we’re in the ‘glades, after all! ), they’re just gorgeous. 🙂 Quite exotic. Ohhhh yayyyyy! I’m so happy! That stuff is AMAZING, for so many things. And natural, of course – even better!! I read your post; HOORAH! It really IS wonderful that this amazing group was able to put together this event, to honor the natural spaces in such a way…. I would love, just love, to visit your beautiful forests. I simply cannot fathom their magnificence. Hi Christina ! I just want to say that i miss your posts. Hope to see one from you soon 🙂 ! Just want to say hello and hope everything is okay with you and that you’re having a great summer. Thanks so much for dropping by and saying howdy….!! I miss everyone so much; it’s been a bit busy obviously. I hope you’ve been having a lovely summer — by the looks of it, MOST definitely you have! Such beautiful photos. Beauty is everywhere, you just have to know how to look.